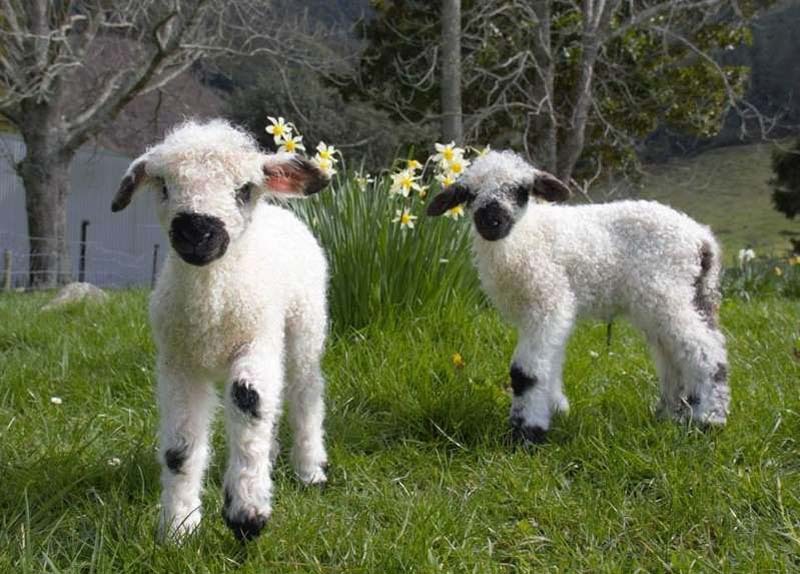 The Valais Blacknose sheep originating in the Valais region of Switzerland are known as the cutest sheep in the world and it's easy to see why. With their black faces, long spiral horns, black patches on the knees, hocks and feet, and fluffy-looking fleece, it's no wonder their popularity is said to be "taking the world by storm," as reported by NewsHub in New Zealand. "It would be fair enough to say they are going viral," Christine Reed told BNQT. 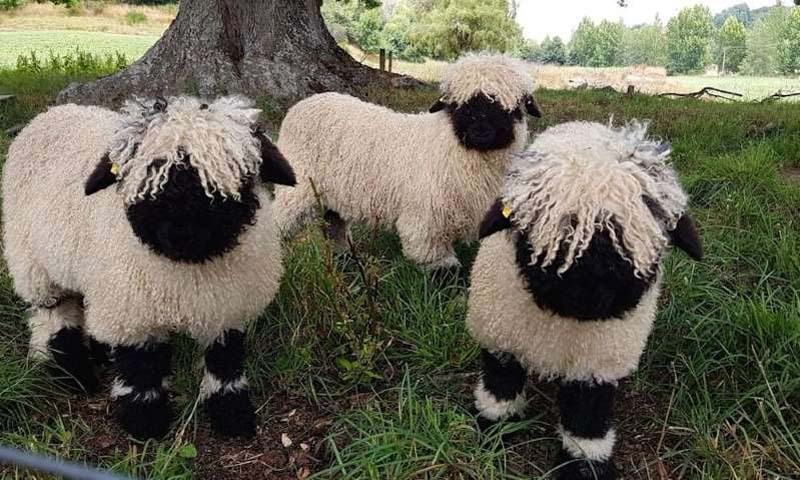 "The Valais Blacknose New Zealand Facebook page now has over 11,000 followers and we have inquiries daily from all over the world to import them. They continue to be sought after in the U.K., and the breeding up program in the USA and soon in Canada is growing in popularity." 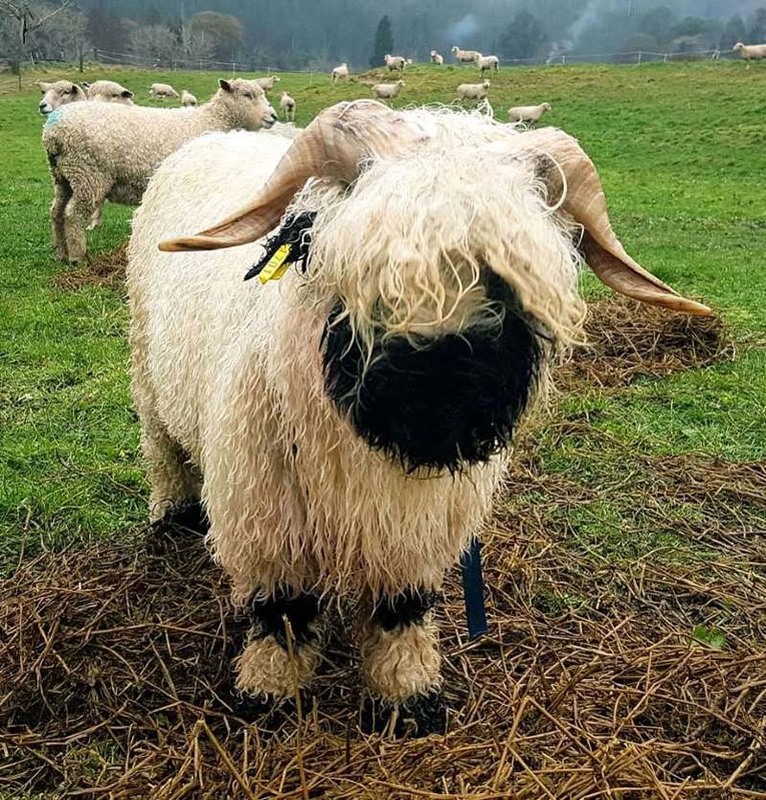 The Valais Blacknose New Zealand sheep are being bred by Sally and Lindsay Strathdee, who initiated the process to begin breeding the sheep when falling in love with the breed five years ago. They partnered with Reed and imported the sheep as embryos from prize-winning flocks in Scotland and the U.K.
Raymond Irvine and Jenni McAllistair from Valais Blacknose sheep Scotland and Jamie and Nicola Wood at Prendwick Farm in Northumberland, England, are the top suppliers to New Zealand, Reed told BNQT. They describe the breed as "more like dogs than sheep" because of a warm and friendly temperament. "The Swiss say, 'make friends with a Valais and you have a friend for life!' and that about explains it," the Valais Blacknose New Zealand website says. "They are gentle and curious with very little fear of humans, making them the perfect pet." Sally Strathdee told NewsHub they're in "hot demand." 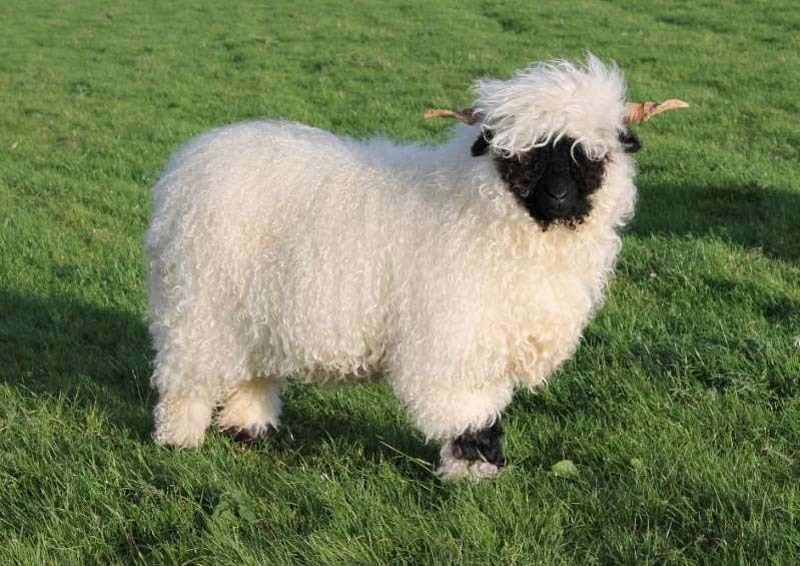 The Valais Blacknose New Zealand breeders will be introducing part of their 50-head flock at a New Zealand Agricultural Show in November. The first generation of Valais Blacknose sheep in the United States is being born this year as part of a successful launch of the "breed up program," according to the American Sheep Industry Association. The Valais Blacknose Sheep Association of North America was formed in 2017 to support the introduction of the breed in the states. NewsHub reported that the popularity of the Valais Blacknose sheep "has skyrocketed around the world with Britain's Valais Blacknose Sheep Society proclaiming them the fastest growing sheep breed in the U.K."